Nepal is one of the richest countries in the world in terms of bio-diversity due to its unique geographical position and altitude variation. The elevation of the country ranges from 60 meters above sea level to the highest point on earth, Mt. 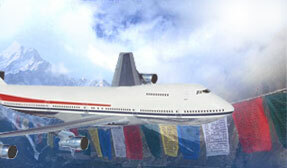 Everest at 8,848 meters, all within a distance of 150 kilometers resulting in climatic conditions from sub-tropical to arctic. This wild variation fosters an incredible variety of ecosystems, the greatest mountain range on earth, thick tropical jungles teeming with a wealth of wildlife, thundering rivers, forested hills and frozen valleys. Within this spectacular geography is also one of the richest cultural landscapes anywhere. The country is a potpourri of ethnic groups and sub-groups who speak over 70 languages and dialects. 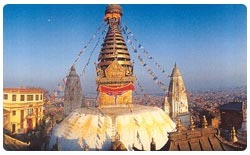 Nepal offers an astonishing diversity of sightseeing attractions and adventure oppurtunities found nowhere else on earth. And you can join in the numerous annual festivals that are celevrated throughout the year in traditional style highlighting enduring customs and beliefs. • Land of non-stop festivals are explicit and self-explanatory. They tell the world about our incomparable & prosperous cultural heritage. • Political System: Multiparty democracy with constituitional monarchy. • National Bird: Impean Pheasant (Danfe). • National Flower: Rhododendron Arboreum (Lali Gurans). 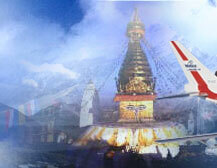 Nepal is a Kingdom of high mountains, artistic monuments, exotic wildlife and diverse cultures. Roughly rectangular in shape, the Kingdom of Nepal is situated between China and India. For its size, Nepal surprisingly contains the greatest altitudnal variation on this planet. 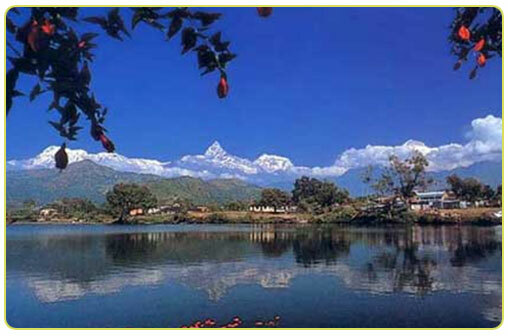 The land rises from the Terai, southern plains at almost sea level, and within a short distance to the north, culminates at Sagarmatha, the highest point on earth. Eight of the fourteen summits in the world over 8,000 meters lie in Nepal. We look forward to helping you enjoy this destination with one of the great adventures described briefly below. Nepal offers diverse adventure options ranging from cultural tours to wildlife, treks and expeditions and many more adventure options. 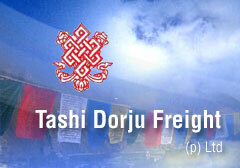 © tashi dorju freight 2009 | All Rights Reserved.